A Must See! Impressive & Inviting Home In Desirable Arlington Terrace Subdivision Just Steps To Schools. Welcoming Foyer Leads To Sun-Filled Living Room. Gleaming Hardwood Floors Thru-Out. Dining Room Has New Wainscoting. Wonderful Kitchen Has Been Updated & Has Newer Cabinets, Granite Counters, Tile Backsplash & Stainless Appliances + Walk-In Pantry & Eating Area. Family Room Has Lovely Brick Fireplace, Sliders To Patio & Mudroom To Professionally Landscaped Yard With In-Ground Pool. Spacious Master Suite Has Newer Private Bath & Walk-In Closet. Nice-Sized Additional Bedrooms. Full Basement Has Rec Area & Laundry/Storage Areas.NEW Furnace 3/19. Walk To Schools & Parks. Minutes To Shopping, Restaurants & Major Roads. Hersey HS! I was searching for a Property and found this listing (MLS #10270393). 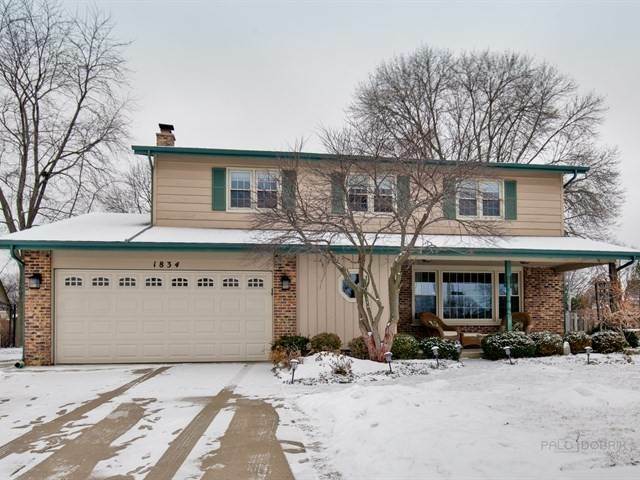 I would like to schedule a showing for 1834 N Dale Ave Arlington Heights, IL 60004. Thank you! I was searching for a Property and found this listing (MLS #10270393). Please send me more information regarding 1834 N Dale Ave Arlington Heights, IL 60004. Thank you!